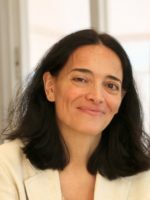 Marian Ahumada, born in Santander, is Professor of Constitutional Law at the Universidad Autónoma de Madrid (Spain). She obtained her LL.B. at the Universidad de Valladolid and holds a Ph.D. in Law with special doctor europaeus mention and extraordinary honour recognition from the Universidad Autonoma de Madrid. She also has a Diploma of Specialization in Constitutional Law and Political Science (special prize) from the Center for Constitutional Studies in Madrid. She won the National Award “Nicolás Pérez Serrano” for her doctoral thesis. She has been a Visiting Researcher at the Max Planck Institute in Heidelberg and Global Research Fellow at NYU Law School. Between 2008 and 2015 while on a special leave from the University, she was Director General for Legal Coordination of Spain’s Ministry of the Presidency; her special commission was for the management of governmental legislative initiatives in Parliament. She was also Vice-president of the Commission for the National Human Rights Plan and a representative member of the Spanish delegation for the Universal Periodic Review held at Geneva (UN-Human Rights Council) in 2010. She has been Deputy Director of the Centre for Political and Constitutional Studies and Spanish representative at the European Commission for Democracy through Law (Venice Commission) of the Council of Europe (2009-2010). In 2012 she started working at the Spanish Constitutional Court, after being appointed senior legal advisor to former Chief Justice Pascual Sala. Returning to the University in September 2015, she now teaches constitutional law courses on Fundamental Rights, Constitutional Justice, and Access to Information. She has published on constitutional justice, comparative constitutionalism, decentralization, and fundamental rights. She also has been director of the recently published Report “Democracy in Spain 2017” (Fundacion Alternativas, 2018). She is also on the Board of the Constitutionalists Association of Spain and is patron of Fundación Alternativas. The European Features of the American Model of Judicial Review. My current research project, “The European Features of the American Model of Judicial Review,” explores the interaction between European and American ideas and practices of judicial review. To this end, I hope to contribute to improving understanding of two different constitutional review languages: European (of Kelsenian roots) and American (of Marshallian –more John than Thurgood—ancestry). I hope thereby to ease the difficulties posed by comparative studies of European and American experiences of constitutional review of legislation. Against well-established but inaccurate clichés about the functioning of constitutional review, both in America and in European countries, my modest ambition is to find a way to build a basis for shared understanding by pursuing the effort to translate into mutually comprehensible common legal terms and vocabulary the spectrum of doctrines and procedures making up the two traditions’ practices of constitutional review of legislation. Such an effort to find a shared language of judicial review discourse should highlight the real similarities and divergences between the two traditions. A first step is identifying and elucidating, within the rich US practices of judicial review, ideas and understandings usually labelled as “European” even though they also are authentically American. A complementary effort would illuminate those aspects of European understandings of constitutional review that either are derived from or resonate with American ideas and practices. The ultimate goal of this research may well show that the main differences and contrasts between American and European models of constitutional judicial review are not owing to structural or procedural discrepancies but rather indicate differences of approach – for example, different emphases in public interest litigation; and diverse sensitivities to the need to express and accept the political component of constitutional review. I am in the process of finishing a book describing the practice of Judicial Review in America.